Nomex has excellent thermal stability and will not melt or drip. Fabric has outstanding strength, abrasion resistance and chemical resistance. UL Classified to NFPA 1971 Standard on Protective Ensembles for Structural Fire Fighting and Proximity Fire Fighting – Current Edition. 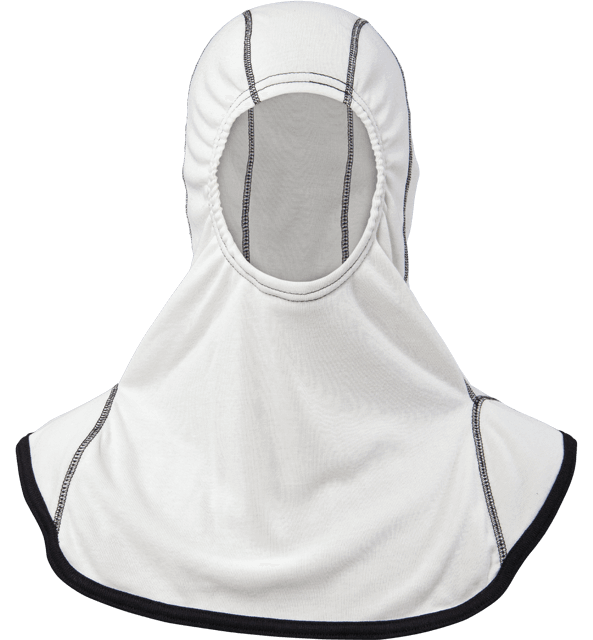 NextGen hoods are available sewn with either color‑coordinated (matching) or color‑contrasting 100% Nomex® thread. 100% Nomex embroidered patch. Minimum order 25 each. High resolution multi‑color transfers. Minimum order 100 each.